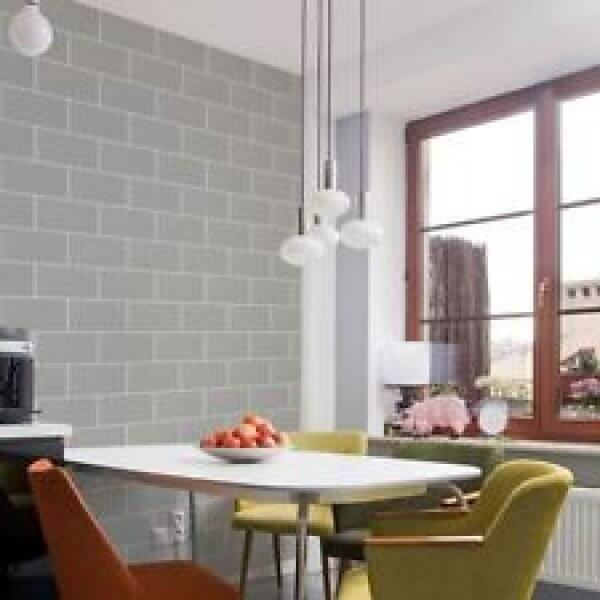 Crown have developed this fabulous and ultra modern tile effect wallpaper in a range of stunning colourways. This embossed and textured tile effect pattern is overlaid with shimmering glitter which catches the light and really helps to brighten up your room! This extra-washable vinyl wallpaper is the perfect choice as a cost effective and stylish way to update your bathroom or kitchen!